Two studies released this week underscored the significance of misdiagnosis as a source of medical malpractice claims. Coverys, a malpractice carrier based in Boston, reported that a review of 1,800 closed claims against physicians from 2013 to 2017 showed 46% were related to the diagnosis. Those claims accounted for 68% of paid indemnity costs, according to the report. In 45% of the diagnosis-related cases, the patient died, Covery said. A separate report released by The Doctors Company, also a malpractice insurer, found that 38% of malpractice claims against physicians involving the treatment of children involved a misdiagnosis. The carrier reviewed 1,215 claims closed from 2008 to 2017. Missed, failed or wrong diagnoses are largely the result of inadequate medical assessments, according to The Doctors Company study. “Our research sheds light on the need to provide detailed explanations to parents or guardians regarding symptoms that should prompt immediate care when the child is sent home,” stated Darrell Ranum, study author and vice president of patient safety with the Napa, California-based carrier. Misdiagnosis has been identified as a leading cause of malpractice claims in other studies that examined inpatient care. In 2015, the National Academy of Medicine concluded that diagnostic error may be the third-leading cause of death among hospitalized patients and are responsible for the majority of paid medical malpractice claims. A 2017 study by University of Michigan researchers reviewed 62,966 malpractice claims filed by hospitalized patients and found 22% of them were diagnosis related. Those misdiagnosis claims were also more often associated with disability or death, the study concluded. The Coverys and Doctors Company studies released this week bring the misdiagnosis problem in closer focus or primary care physicians. Coverys said the top allegation against primary care providers involved an inadequate patient assessment. That includes capturing a complete family history and a thorough physical exam. Allegations involving the ordering of diagnostic tests was the second-most common allegation among diagnosis-related claims. 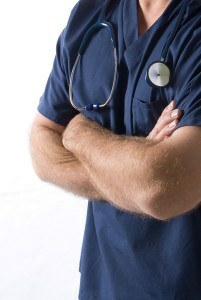 Referrals and followup were also frequently involved in misdiagnosis claims. The Doctors Company study provided details on lawsuit payments in pediatric claims and long-term claim exposure. According to the study, 446 of the 1,215 malpractice claims reviewed (37 percent) resulted in payments. The average indemnity payment was $630,456 and the average expense paid was $157,592. The study also found that the vast majority of malpractice claims (76.7 percent) are filed within three years of the event. By five years, 85.1 percent of claims had been filed. However, 3% of claims were filed more than 10 years after the event. A failure to appreciate and reconcile signs, symptoms and test results was the most common patient assessment issue identified in the Doctors Company study. Clinicians failed to recognize the clinical picture from the available information, including patient history, reported symptoms, physical exam and test results.